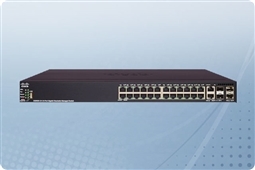 Cisco Small Business 500 Series Stackable Managed Switches are made to offer the capabilities needed by more demanding network environments for a highly affordable price for IT Professionals from Small and Medium sized businesses. Created to provide a solid solution for current business applications while allowing for growth through the future the Cisco 500 Series Small Business Switches offer a stackable managed switching option with intuitive browser based tools and automatic configuration and discovery. They also come with some of the most advanced business features of all the Cisco Small Business Switches with a variety of features like IPv6 support, Layer 3 routing, PoE and PoE, 10Gb connectivity, and so much more! Additionally the Cisco Small Business 500 Series Switches are made to be extremely power efficient and eco friendly with a very small energy footprint making them an excellent value for the companies that rely on them. Aventis Systems is proud to offer Cisco Small Business 500 Series Switches in a variety of port sizes and features. Port sizes for the Cisco 500 Series Switches are 16, 24, 28, 48, and 52 Ports. All Aventis Systems Networking products come with a standard 1 Year Aventis Essentials Warranty with upgrade options to Express and Extended Warranties as well as Onsite Support Service Level Agreements. So shop our product options below and take home the eco friendly, affordable, and feature rich Cisco Switch ideal for your environment with the Cisco Small Business 500 Series Switches!